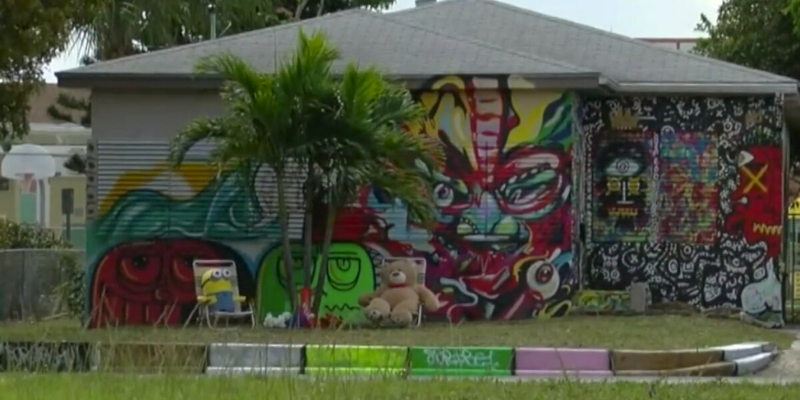 WEST PALM BEACH, Fla. — Community members are concerned about several shootings in the north end of West Palm Beach. The most recent involved two double shootings. One person died and three different streets turned into a crime scene. "It's disturbing it's very upsetting on a human level to see something like that," Robert, the owner Nowlin Flower Shop said. Robert and Anthony have owned the shop for 15 years and Wednesday afternoon they got an up-close look at crime in their area. "When we looked outside we just saw this woman in a panic, my boyfriend is stuck somebody help me we go to get him out of here he's shot," Anthony said. Their shop was now caught in the middle of a crime scene. The community is pushing for action because while overall crime is down in West Palm Beach over the last five years. Violent crime is up nearly 11 percent between 2017 and 2018. Just three months into the year and gun violence continue to take lives. A spokesperson with the West Palm Beach Police Department says they are launching a program called RECAP to help foster relationships with community members in areas where there are frequent violent crimes. One block from the flower shop you'll find a man trying to put action behind his words. "We are going to innovate we are not going to talk," Mr. E said. Mr. E and is the art director of the Youth Concept Gallery. A place for youth in the neighborhood to learn about stem and art. His goal is to get younger generations into the gallery and out of gangs. "We need kids to dream high and above just far beyond this four-block radius," Mr. E said. West Palm Beach police did say they are hoping new technology like Shot Spotter, license plate readers, and the Real Time Crime Center will help solve these crimes.